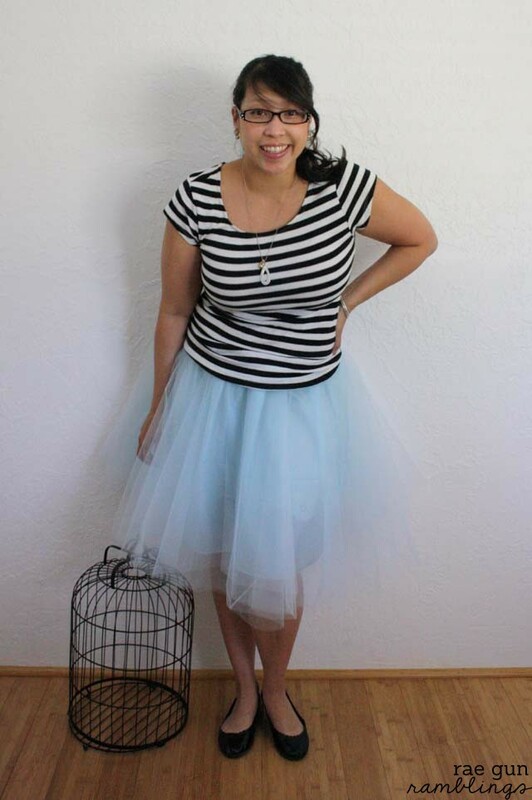 I’ve been wanting to make one of this tulle skirts for a long time. I feel like I saw them all over around the holidays. I don’t know if it’s too ridiculous for every day wearing but I kind of like it. And really who am I trying to impress right? I love the idea of wearing this with a concert tee and I think it will look even better once I wash it a few times and soften up the tulle. 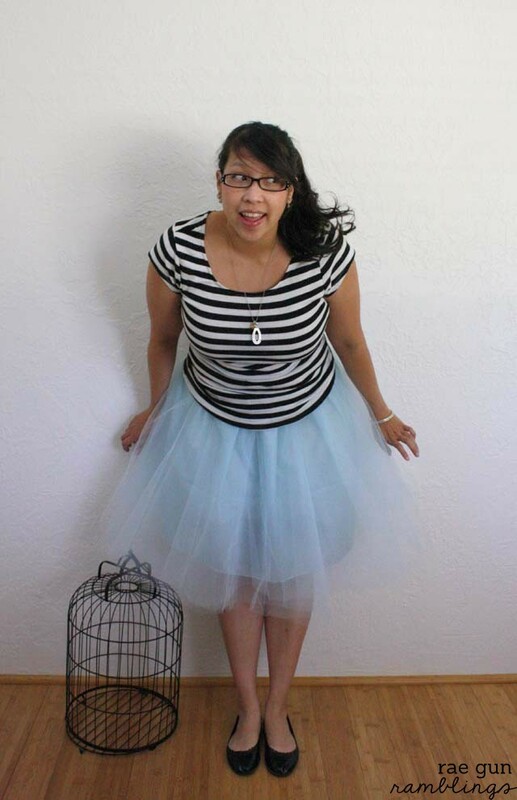 For most adult sized skirts you’ll need 6 yards of 58″ tulle. You’ll also need enough elastic to go around your waist and about a yard of lining fabric. Make sure that your lining fabric is not see-through. Ask why I’m telling you that, ummm yeah. 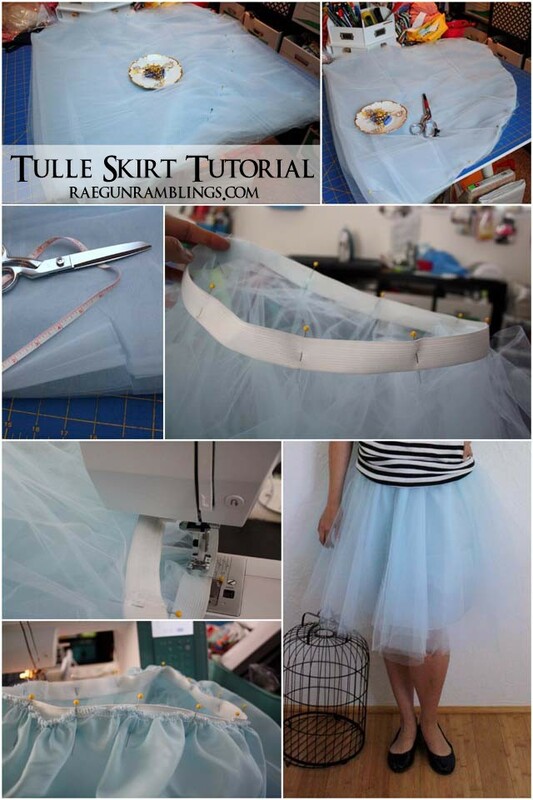 Keep your tulle folded in half width-wise (like how it comes from the fabric store. Fold it into 1.5 yard sections so that you can cut out 4 circles at once. Pin a curve to mark your quarter circle cutting line. It doesn’t have to be perfect but I’ve found this to be easier than trying to find something that will write on the tulle and faster than making a pattern. Measure around your waist and divide it by 3.14 and then again by 2 to get the radius of your waist. Cut out a curve on the top part (this is the waist part) like the 3rd picture. Cut your elastic a couple inches shorter than your waist and sew into a circle. Pin all four layers of tulle to your elastic stretching the elastic a little. Using a zig zag (or three point zig zag stitch) sew the tulle down to the elastic. Make sure to pull the elastic a little while you sew it on so it will fit over your hips easily. next sew your lining into a tube. trim the length so that it is slightly shorter than the tulle. Finish the bottom edge either with a rolled edge on a serger or with a narrow hem on a sewing machine. Finish the top edge so it doesn’t unravel and run basting stitches. Gather the lining to the elastic leaving some room to allow the elastic to stretch and sew it on under the tulle. LOVE this! Wanna make me one? I would like mine to be ankle length though! Black tulle or black with a silver or gold running through it! I wonder how the tulle would take dye. An ankle length one dyed in an ombre from black to gray would ROCK! Oh my, the ideas are just running through my little brain. Unfortunately since I almost lost my hand in an accident I am unable to sew anymore so I won’t have one anytime soon! Maybe you would try these ideas out and I can live vicariously through you! LOL TFS! Ummm yes that sounds gorgeous! 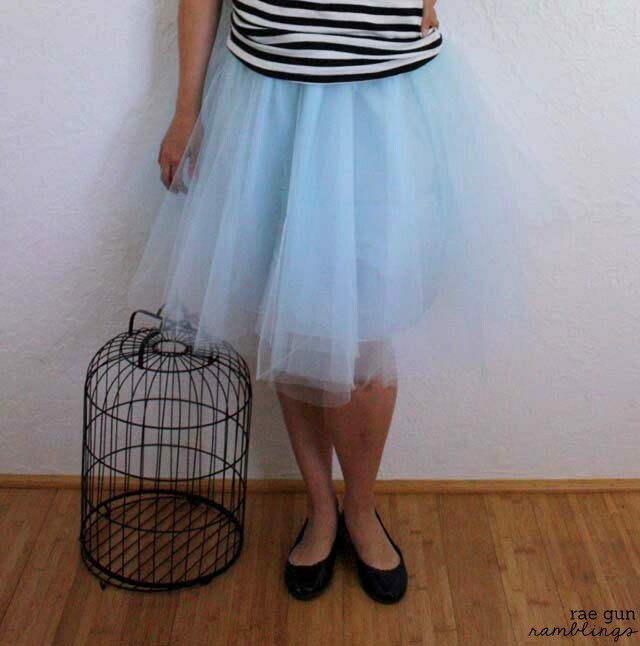 And yay I have no idea bout dying tulle but I agree that would look amazing. Cute skirt and you make it sound so easy! Yes, tulle does dye. To save money for consecutive weddings, I dyed yards and yards of white tulle using purple Rit dye and the washing machine. It came out a lovely lavender. (And then I had to iron it all!) 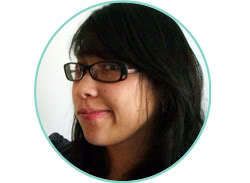 Ombre may be a bit trickier, or at least time consuming, but totally possible!